Dr. Antonio Ghio is a partner at Fenech & Fenech Advocates and heads its ICT Law Department. For the past twelve years his work has solely revolved around ICT law issues, trying to find solutions to the constant struggle existing between law and technology, both inside and outside of the courtrooms. Ghio lectures ICT law and Cyber Crime at the University of Malta and is a regular supervisor and examiner on technology law related matters.He held the position of Chairman of the Malta Communications Authority after having served as a member of the Board of Directors for the last five years. Dr. Gege Gatt is CEO of the Artificial Intelligence company: ebo. He’s a partner and director at the technology firm ICON. For the past eighteen years in the industry, he has proven to be a results-driven leader focused on achieving exceptional results in highly competitive ICT environments. He is experienced in driving product, project, process and customer service improvements while building partnerships with key business decision-makers. He also serves as a director at ICT recruitment specialist: MUOVO (a Gi Group partner), and as a Non Executive Director on the industry leading shipping data solution firm: essDocs. He is a specialist examiner for doctoral thesis relating to ICT Law at the faculty of Laws, University of Malta. Dr. Sharon Xuereb is an associate at Camilleri Preziosi and heads the Technology, Electronic Communications, and Intellectual Property Law practice areas within the firm. 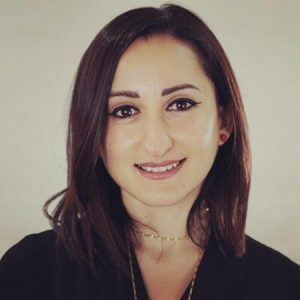 She graduated as Doctor of Laws at the University of Malta in December 2009 and completed her postgraduate studies with distinction at Queen Mary, University of London in 2010. In partial fulfilment of her LL.M. 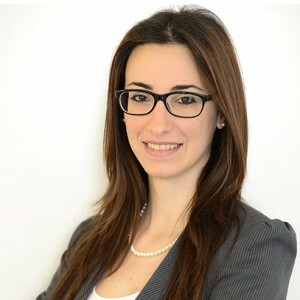 in Computer and Communications Law, she submitted a thesis on the regulation of online gaming and betting entitled “Legal Protection of State Monopolies over Online Gaming: A critical appraisal of the implications of recent ECJ decisions on EU Remote Gaming”. Sharon assisted a number of law students at the University of Malta with their doctoral thesis related to ICT Law, and regularly participates in local and international conferences in ICT law. Sharon acts as external legal counsel for one of the major electronic communications providers in Malta. She has also been selected by a national regulatory authority in the Middle East to provide advice on the drafting and implementation of a privacy and data protection legal framework in the electronic communication sector. 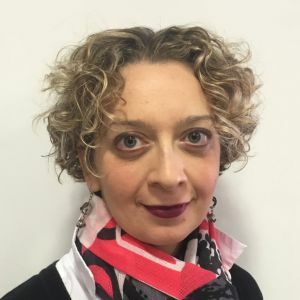 Dr. Philippa Gingell Littlejohn began her career in public international law as a diplomat within the Foreign Ministry having read for a Masters in European and International Law at Queen Mary, University of London after graduating with a Doctorate of Laws from the University of Malta. She has been working in telecoms law for 10 years, first as a legal advisor with the regulatory authority, Malta Communications Authority, and now as a corporate lawyer at GO p.l.c., one of Malta’s leading ICT and telecommunications companies. George Sammut is a partner at PricewaterhouseCoopers responsible for IT Governance, Risk and Compliance services. 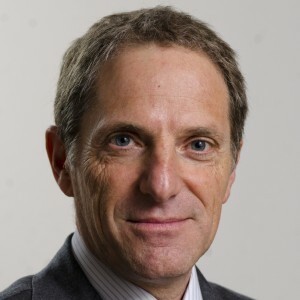 Over the past 25 years, he has led numerous assignments relating to IT-enabled performance improvement; Information Security; IT governance; and legal/regulatory compliance assessments in the private sector, in Government and for the European Commission. He is often involved in IT aspects of assignments in Internal Audit, and IT Audits including forensic technology work. George has a BSc (Hons) in Informatics from the University of Leeds; he is a Chartered Engineer; a qualified accountant; Certified in the Governance of Enterprise IT (CGEIT); and Certified in Risk and Information Systems Controls (CRISC). George was a member of the Malta Data Protection Appeals Tribunal for six years and often lectures in Data Protection, IT security and IT effectiveness. He was also a member of the National Information Society Council (Malta) and was appointed to the European Commission Council of Experts for the eEurope programme implementation. He is a former Chairman of the IT Trade Section of the Chamber of Commerce, Enterprise and Industry. Dr. Lena Sammut is a junior partner at IURIS Malta Advocates. Forming part of the corporate, intellectual property and anti-counterfeiting department, she holds a Master of Laws in Computer and Communications law. Her work involves the provision of assistance to companies in corporate and company law matters, as well as advising clients on various matters relating to IT and IP law. Having practiced for a number of years in the civil and commercial law department, Lena also has a solid grasp of general civil and commercial law. Dr. Thomas Bugeja is an associate within the International Practice department at Fenech & Fenech Advocates working mostly in Technology, Media and Telecoms Law (TMT) as well as Employment and Industrial Relations and takes a particular interest in issues created by the interplay between these two legal fields. Thomas assists commercial clients in the Maltese Courts and tribunals in relation to unfair dismissals and employment matters, data protection, telecommunications, competition and consumer affairs, and is also a regular contributor in various legal publications on the subjects. 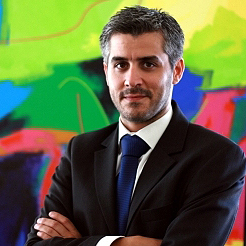 Dr. David Gonzi is the Managing Partner of Gonzi & Associates, Advocates a law firm with offices in Valletta, Malta. Having acquired his warrant to practice as a lawyer in Malta in 2002, he has over fifteen years’ experience in the provision of legal services namely in the Information Technology, Fintech and Financial Services fields. 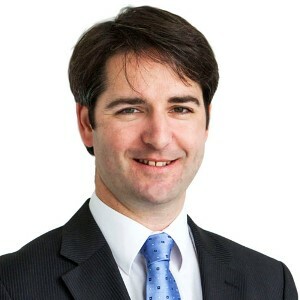 Formerly employed as Senior Legal Advisor to the Malta Communications Authority, David has a Masters (MA) in Financial Services from the University of Malta, a Masters in IT and Telecoms Law (LLM) from the University College of London, a Doctorate of Law from the University of Malta and a Diploma in Taxation from the Malta Institute of Taxation. 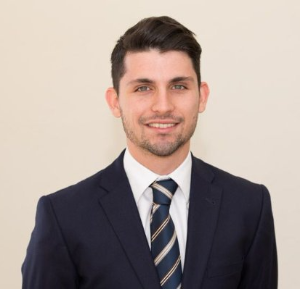 He is a an Executive Member of the Malta Information Technology Law Association and a member of Finance Malta, of the Malta Chamber of Advocates and of the Malta Funds Association. 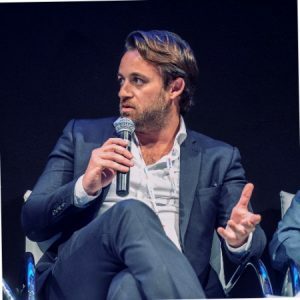 Simon Azzopardi looks after product at Sherpa, an insurtech startup that raised over USD 2.5 M in seed investment and is making insurance personalised through a single unified insurance account that covers all risks. Sherpa is also changing the business model of insurance by removing middle men and commissions, making protection more accessible and a lot simpler. Simon is also president of Silicon Valletta, an association that works to support the Malta based startup eco system.